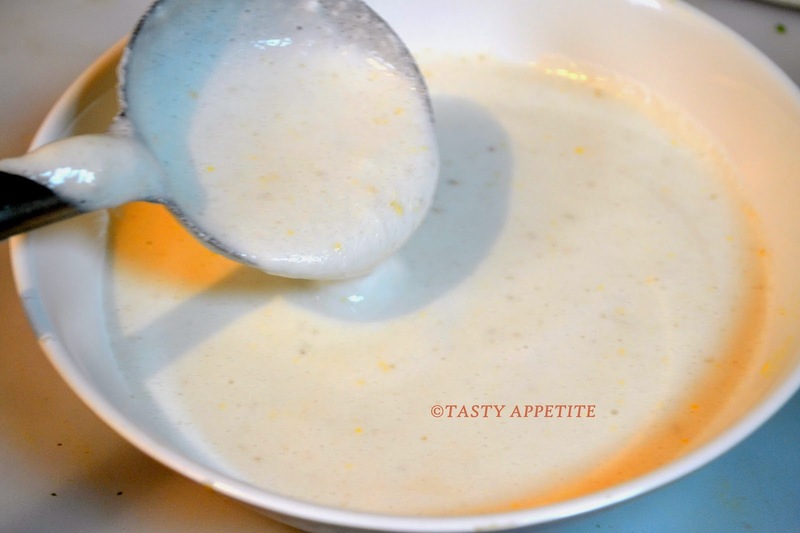 Hy friends, today am going to share with you a delicious, quick and easy recipe that can be enjoyed as a healthy breakfast recipe, snack or as a main dish. This is an easy recipe, which is made within no minutes with the available ingredients in the pantry. 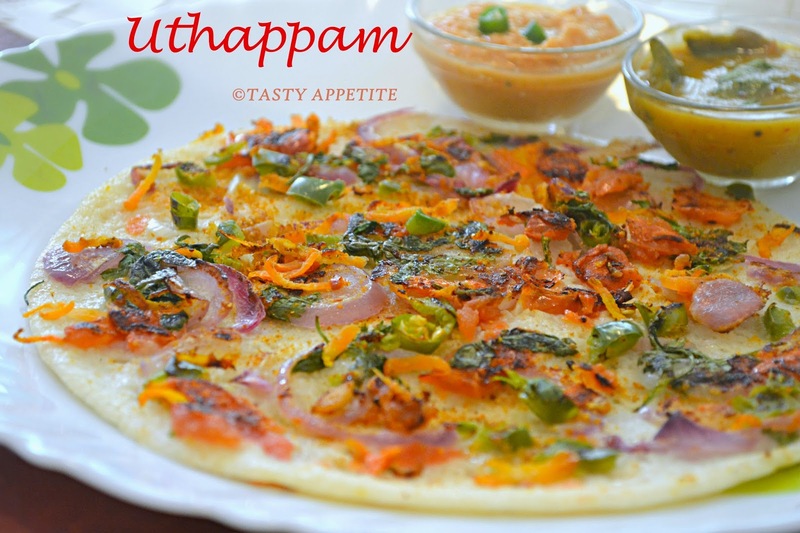 All we need to do is to make the toppings of vegetables like tomatoes, onions, capsicum, etc and flavor it with spice pwd on Uthappam or thick dosa. 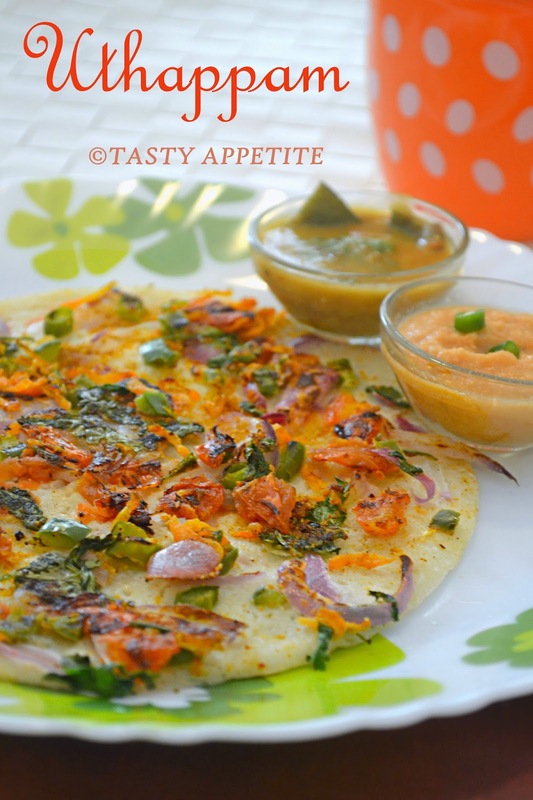 This Indian style savory pancake tastes great when served with sambar & chutney. 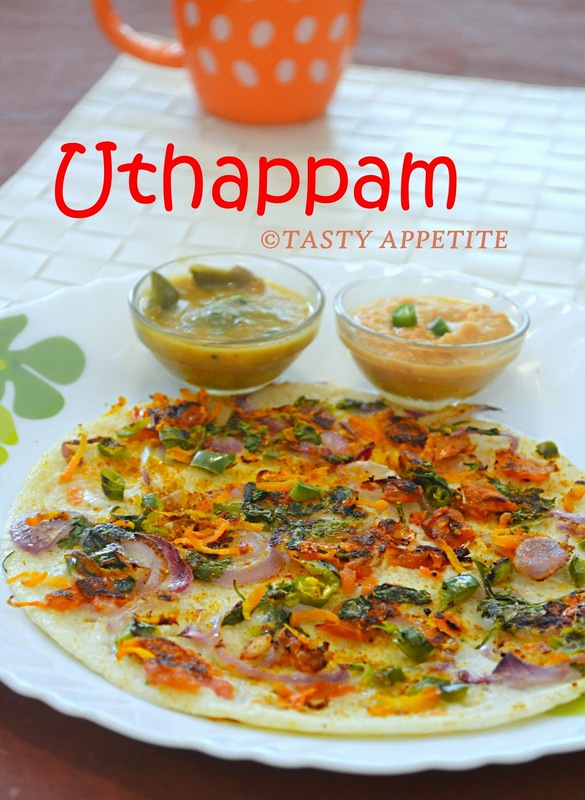 Check out the recipe for quick Masala Uthappam and give it a try..! 1. Wash and soak rice, fenugreek seeds and urad dal separately. 2. Soak them for 4 to 6 hrs. 3. Drain the water and grind it by adding little water in blender to fine batter. 4. Allow to ferment overnight for minimum 8 hours. 6. 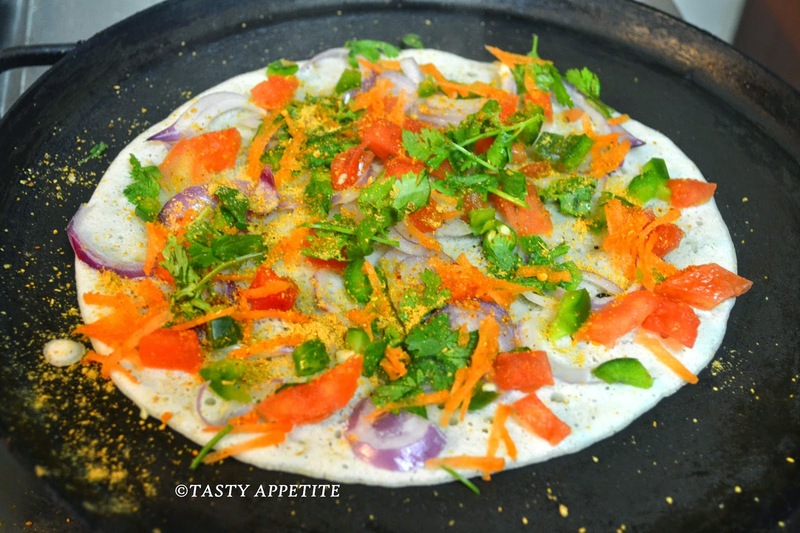 Homemade Dosa batter is ready. 1. 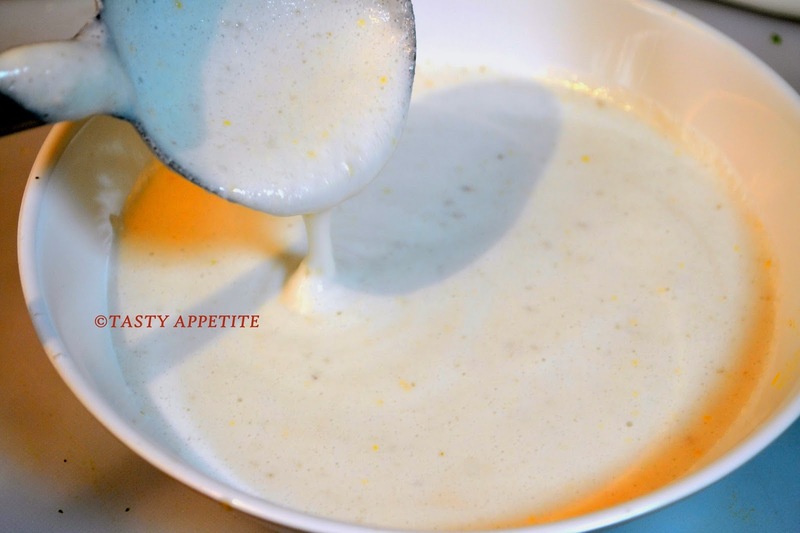 Take dosa batter in a bowl. 2. Add wheat flour and mix well. Adding wheat flour helps to bind the batter. 3. Add ½ cup of water and mix well. 5. 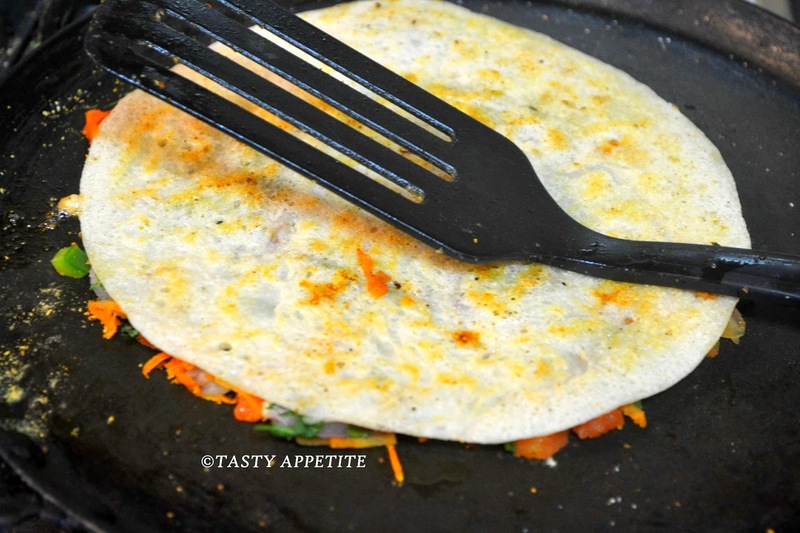 Heat ½ tsp of oil in dosa pan / girdle. 6. 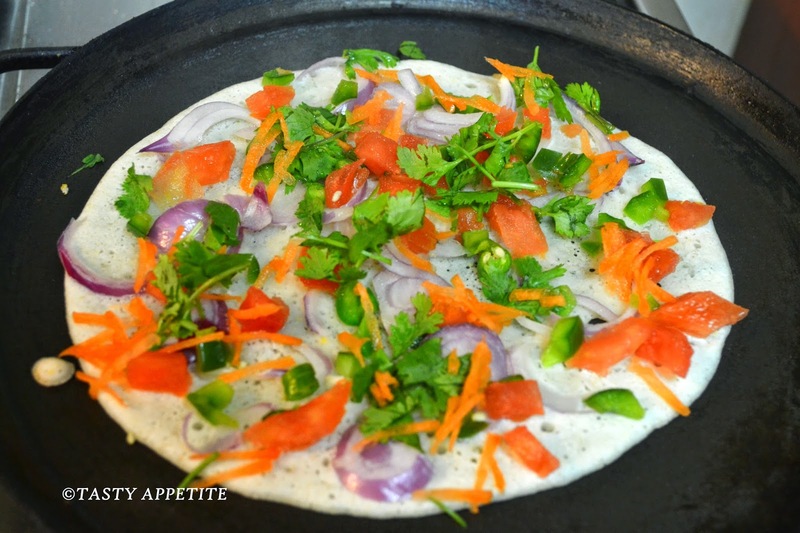 Pour a ladleful of batter in the dosa pan. 7. Spread it to thick concentric circles. 8. First sprinkle sliced onions. 9. Then finely chopped tomatoes. 10. 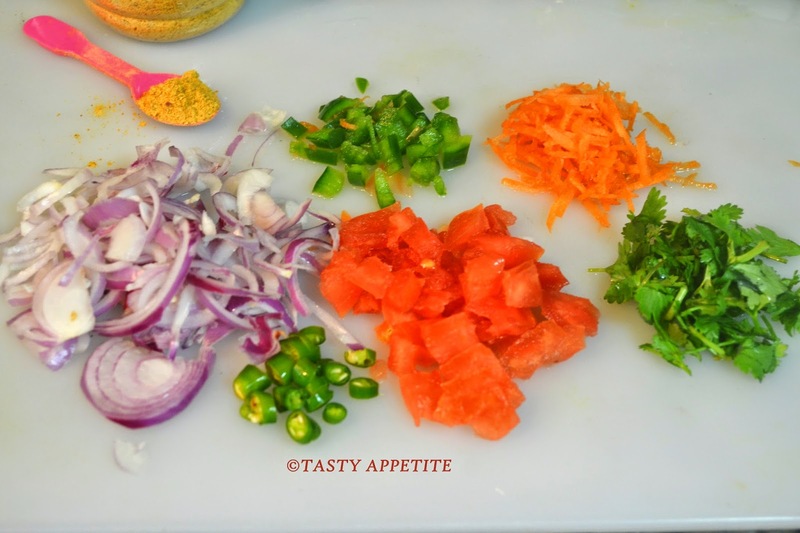 Add sliced green chilly pieces and capsicum. 12. 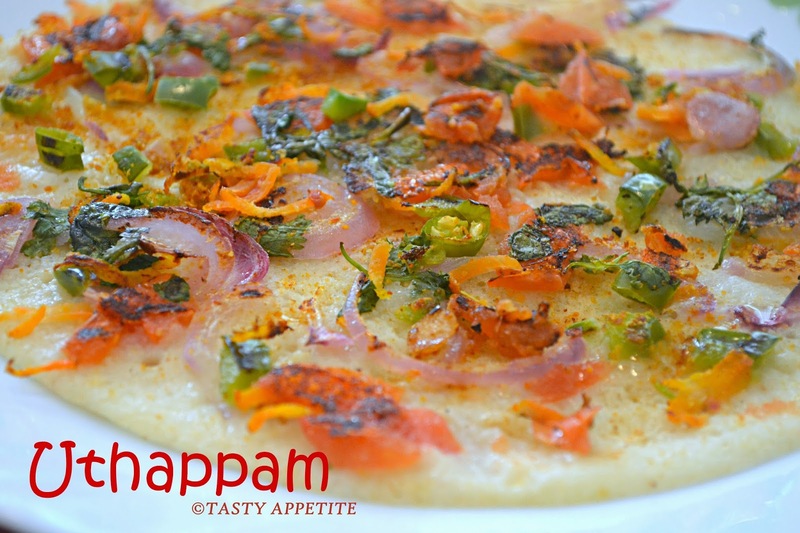 Finally sprinkle sambar pwd for added spice flavor and aroma. 13. Drizzle oil to the sides. 14. Keep the flame in low and allow to cook for 3 to 4 mins. 15. Flip it over carefully and allow the other side to turn golden and crisp. 16. When it is done, transfer it to serving plate. 17. 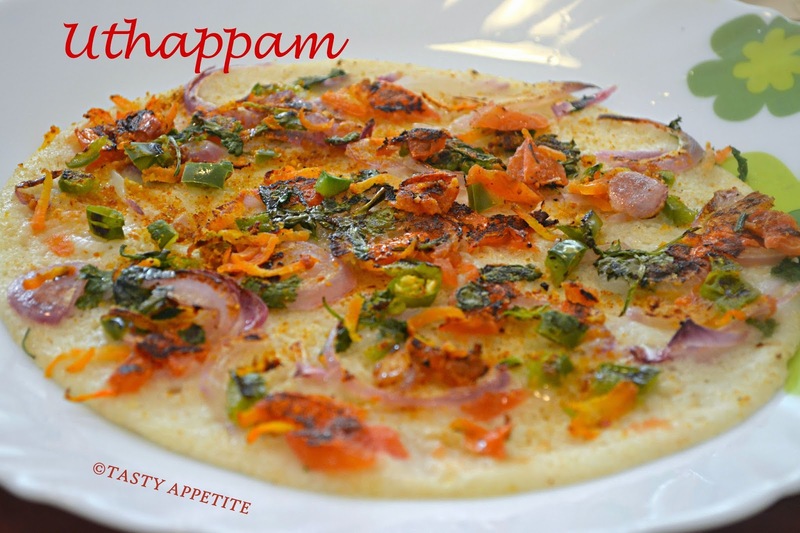 Healthy and delicious masala Uthappam ready. 18. Serve hot with chutney and sambar of your choice. Delicious! It looks like a pizza. Looks very colorful, perfect for breakfast! Good one Jayanthi! Though i am not south Indian i think i were in my previous life as i love more south Indian food i am just so crazy about it. Love this mouthwatering recipe. 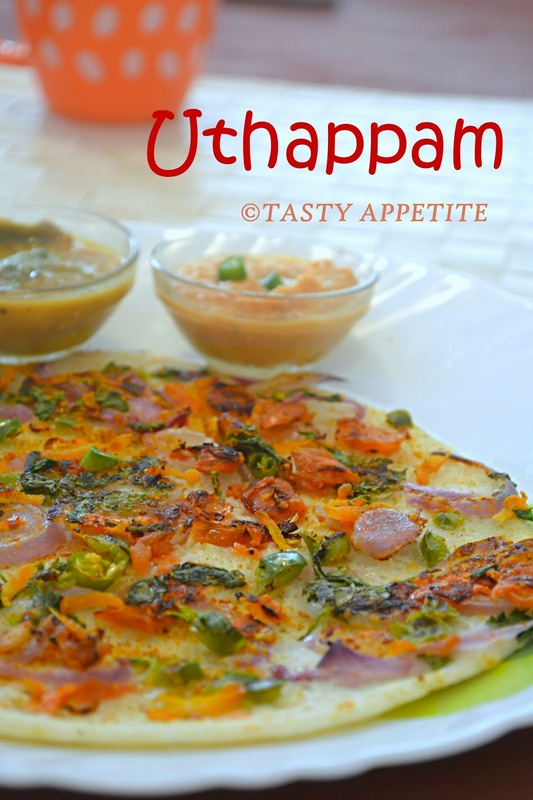 Thanks for visiting .Uthappam looks tasty & colorful .